Tickets will go on sale for the very popular New Year’s Eve Extravaganza on Friday 5th October 2018 at 11.30am. 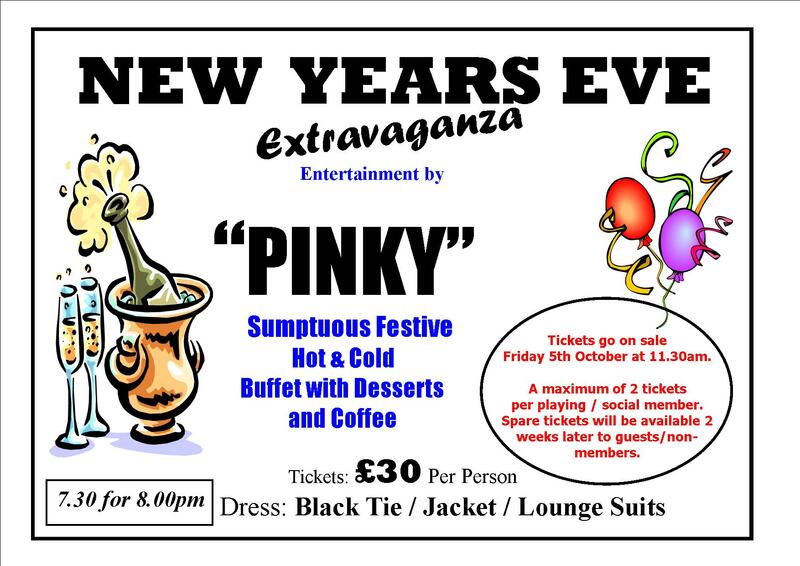 This year the cost is £30 to include a sumptuous festive hot and cold buffet and a fantastic evening of entertainment from the ever popular ‘Pinky’. As always, a maximum of 2 tickets per playing / social member. Spare tickets will then go on sale Friday 19th October for guests and non-members.